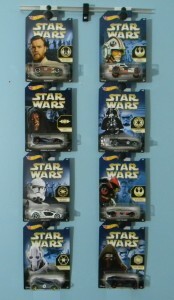 Here are some more display designs showing the flexibility of Collectible Hangers. 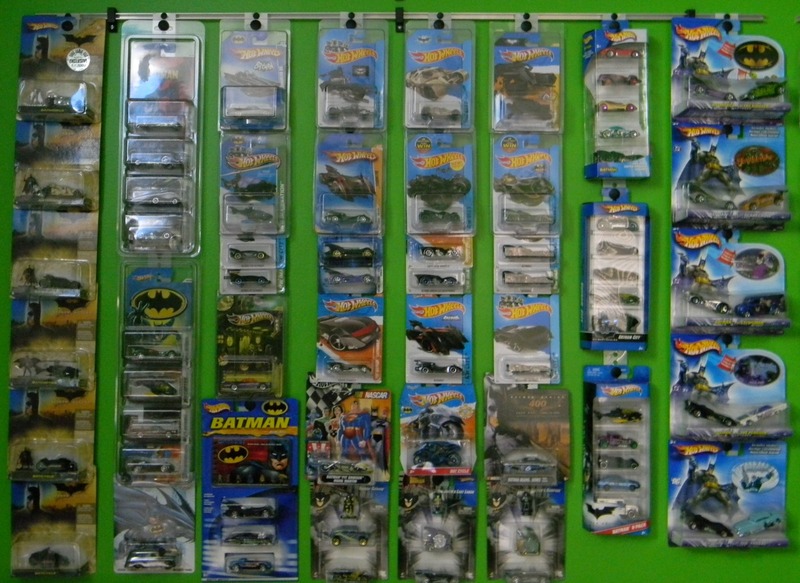 This first picture is an example of a custom display with almost 500 cars displayed! 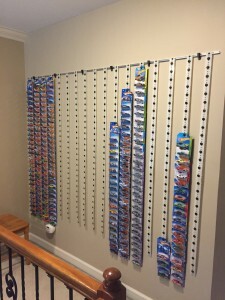 Next is a Multi-Track Finished Collectible Hangers Display demonstrating a display with multiple different sized and shaped “Blister Pack” Cards. 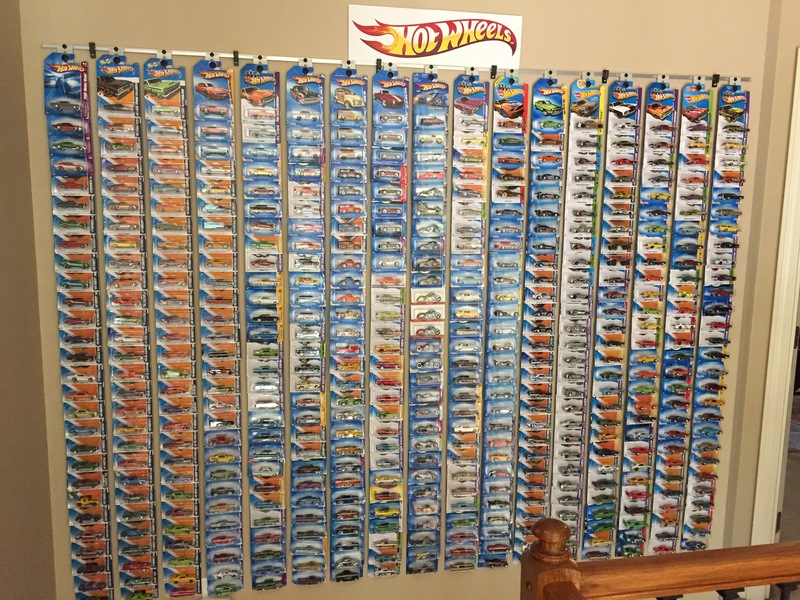 500 Cars – WOW !!! 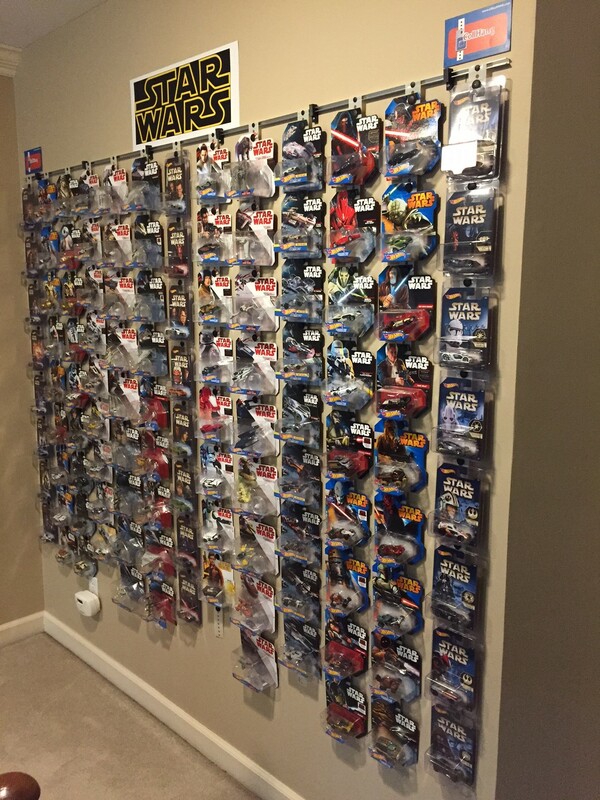 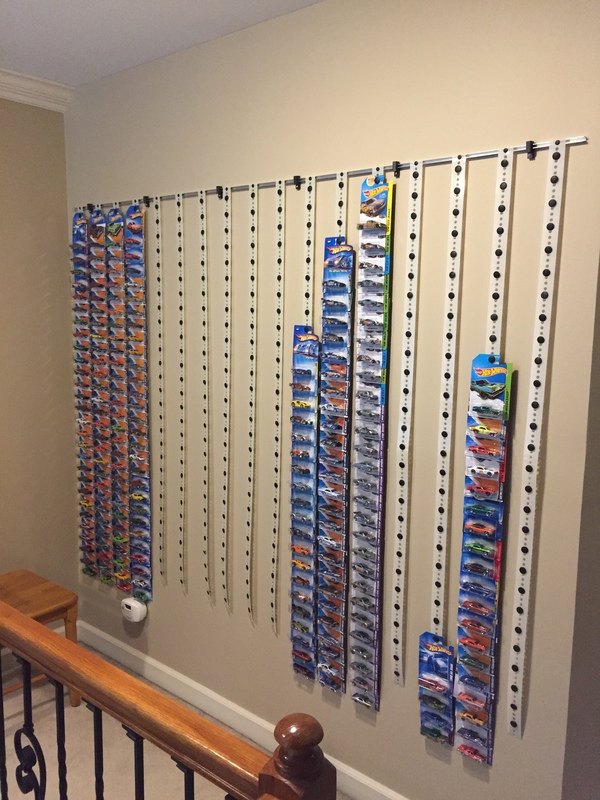 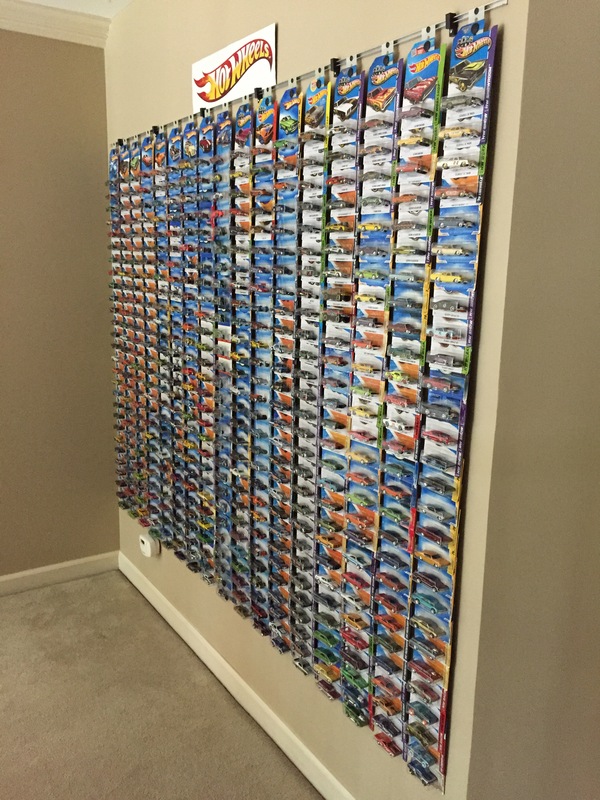 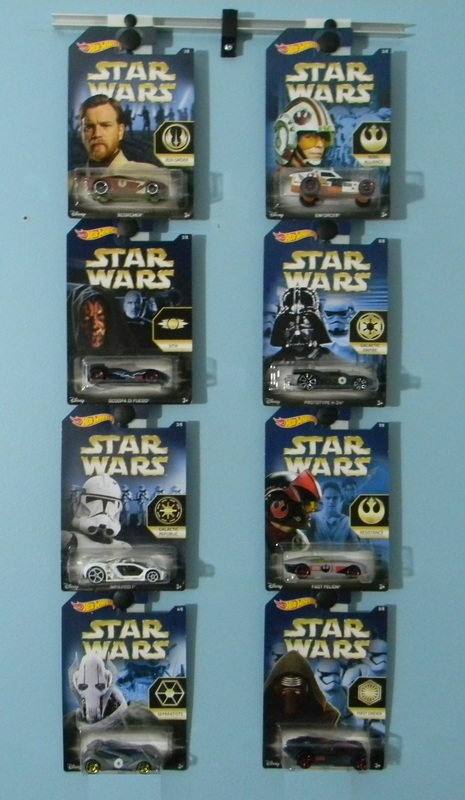 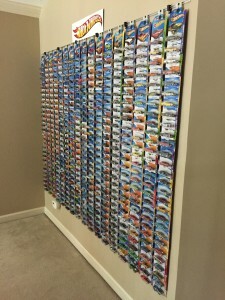 The next picture is an example of a Single Mount Finished Collectible Hangers Display demonstrating a display with the same over sized “Blister Pack” Cards. 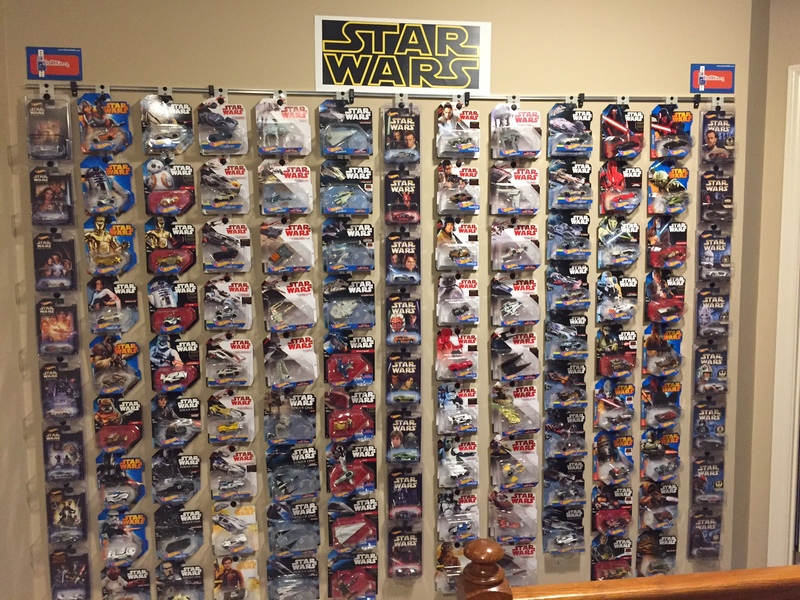 This particular display is known as “Guardians of the Galaxy” (of course).